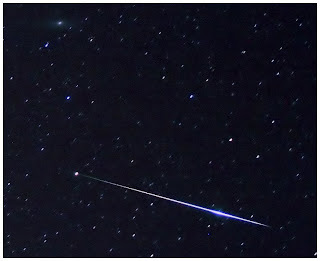 This meteor was captured by Eric Walker on August 12, 2008. It shows a bright Perseid meteor near the galaxy M31 and the double cluster. Courtesy of Eric Walker of the Highlands Astronomical Society. Great information, I enjoy to read your useful information. I would like to say that also your website layout is fabulous.